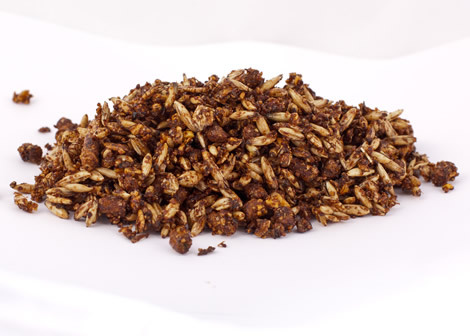 A beet pulp-based feed high in calories, fat & fiber and low in nonstructural carbohydrates (Does not contain corn, barley, or oats). Increases fermentation and decreases digestive problems such as hindgut acidosis in the digestive system of the horse. High fiber and high fat ingredients increase caloric intake without increasing starch. This reduces excitability and heightened awareness allowing for a much cooler horse. All natural-source Vitamin E elevates plasma tocopherol more effectively than synthetic vitamin E which allows the horse to recover more quickly from soreness after strenuous exercise. Suitable for horses with insulin resistance, Cushing’s disease or those predisposed to tying up. Due to the low starch nature of this feed it decreases the risk of insulin resistance by reducing the large fluctuations in glucose you would see in high starch feeds. This is a fully fortified feed. Additional protein, vitamin or mineral supplements, except free choice salt, are not necessary. Grain should be fed in combination with a high quality forage at a minimum of 1% of the horse's body weight. Grain intake should be adjusted depending on desired growth rate, body condition and forage availability. As with any feed that has a high inclusion of beet pulp, care should be taken to prevent rapid consumption and the feed can be dampened to reduce rate of intake and encourage water consumption. Provide plenty of fresh, clean water at all times. Equus 5 is a 14% protein specially balanced ration designed to meet the older horse’s changing nutrient needs. In addition to increased requirements for minerals, vitamins and proteins, the older horse may be showing a significant loss of dental function. 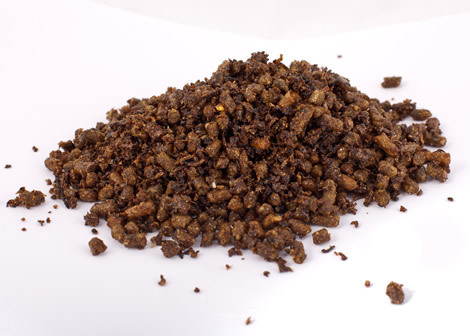 As a pelleted, textured feed, which contains high quality fiber, Equus 5 is designed to be easily chewed and digested by older horses. The use of Soybean hulls in Equus 5 as a dietary fiber is also an alternative, safe, energy source, which leads to, improved senior horse performance. Concentrated meals should be split into 2 or more feedings per day, limiting each feeding size to 0.5 pound per one hundred pounds body weight. This feed is formulated for use in horses 16 years old and older. Grain should be fed in combination with a high quality forage at a minimum of 1% of the horse’s body weight. Grain intake should be adjusted depending on desired growth rate, body condition and forage availability. It is not recommended to feed this free choice. 16 years is only used as a guideline as the time when most horses begin to show a need for for greater nutrient intake than is in most maintenance feeds. Senior horses are prone to losing teeth. If the chewing ability of the horse is impaired, the feed should be served soaked or at least covered with water before offering to the horse. Provide plenty of clean, fresh water at all times. While energy intake is the most critical nutrient for horses working at high intensity, all nutrients are important for horses under extreme exercise stress. Equus Race addresses the nutrient needs for the race horse in a balanced way that insures that when fed with good hay, all requirements for energy, protein, minerals and vitamins are met. In addition to being fully fortified with minerals and vitamins resulting in lower costs for owners and more accurate delivery of these nutrients, Equus Race features a balanced delivery of energy substrates. 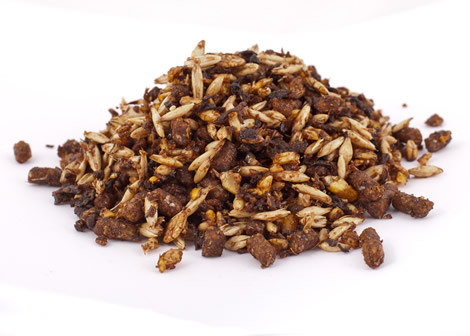 Equus Race features added fat, very soluble fiber in the form of beet pulp and starch from cereal grains. This balanced approach to meeting caloric needs allows for optimum digestion and utilization of energy by the horse. It is not recommended that foals be fed creep feed free choice. Grain should be fed in combination with a high quality forage at a minimum of 1% of the horse’s body weight. Grain intake should be adjusted depending on desired growth rate, body condition and forage availability. Provide plenty of fresh, clean water at all times. 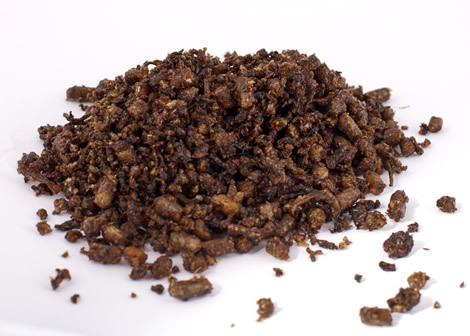 A 15% protein, textured “sweet feed,” which features precise levels of Lysine, Calcium, Phosphorous, Copper, Zinc and other trace minerals to aid in the proper development of muscle and sound structure in the young, rapidly growing, horse. Precise formulation and sound feeding principles will help minimize the occurrence of nutritionally induced developmental orthopedic diseases such as Epiphysitis. A 12.5 % protein textured “sweet feed” with added fat that is designed to promote proper development of the growing horse after 14 months of age. This fully fortified feed is also designed to be fed to late gestation mares and lactating mares to provide optimal development of the foal in utero and maximize milk production in the lactating mare. Concentrated meals should be spilt into 2 or more feedings per day, limiting each feeding size to 0.5 pound per one hundred pounds bodyweight. Grain should be fed in combination with a high quality forage at a minimum of 1% of the horse’s body weight. Grain intake should be adjusted depending on desired growth rate, body condition and forage availability. Provide plenty of fresh, clean water at all times. 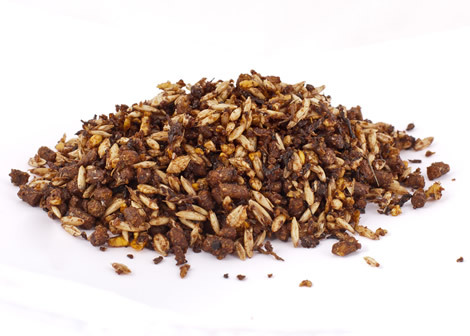 A 12% protein, 8% fat, performance “sweet feed” designed to enhance both the utilization of dietary energy for work as well as providing a safe, fully fortified feed to meet the needs of halter, horses in training or sale prep horses. This product features high-quality vegetable oils, stabilized rice-bran, beet pulp, chelated minerals, electrolytes, supplemental vitamin E, and therapeutic levels of biotin. Concentrated meals should be spilt into 2 or more feedings per day, limiting each feeding size to 0.5 pound per one hundred pounds body weight. Grain should be fed in combination with a high quality forage at a minimum of 1% of the horse’s body weight. Grain intake should be adjusted depending on desired growth rate, body condition and forage availability. Provide plenty of fresh, clean water at all times. 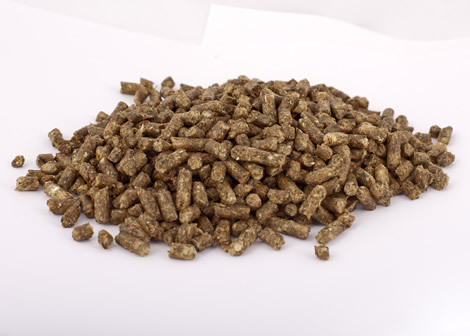 Equibalance is a balancer pellet; it provides the vitamin and mineral nutrition of our Equus line without the cereal grains. 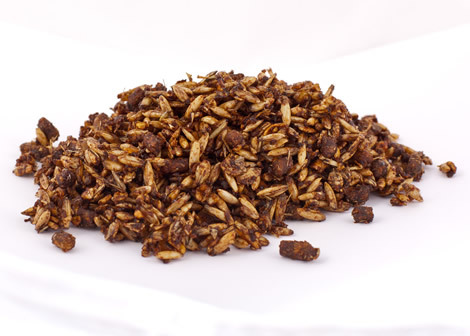 This supplement adds fortification to a roughage-only diet or to a diet that includes roughage and straight grains such as oats. Equibalance is ideal for horses that cannot tolerate high-grain diets but require the micronutrient benefits of the Equus line such as chelated minerals, vitamins, biotin and yeast. Additionally, Equibalance is great for easy keepers that don’t need the extra calories from a feed but do require vitamin and mineral fortification. 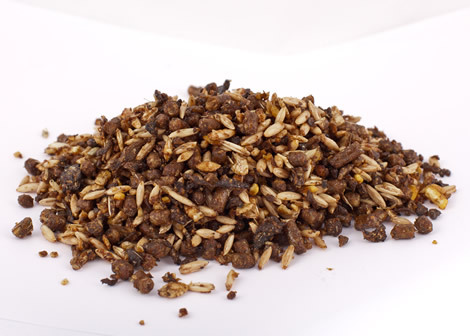 This is a fully fortified supplement pellet for use in fortifying cereal grains and forages. Additional protein, vitamin or mineral supplements, except free choice salt, are not necessary. Weanlings & Yearlings 2 lbs./day with adequate grain & forage to achieve appropriate body condition. Barren Mares 2 lbs./day plus adequate grain & forage during the 90 days prior to breeding. Pregnant Mares 2.5 lbs./day plus adequate grain & forage to maintain appropriate body condition. Lactating Mares 2.5 lbs./day plus adequate grain & forage to maintain appropriate body condition. Mature Horses At maintenance, 1 lb./day with adequate additional feed to maintain body weight. Performance Horses 2.5 lbs./day plus adequate grain & forage to meet energy needs & maintain appropriate body condition. Provide plenty of clean, fresh water at all times. 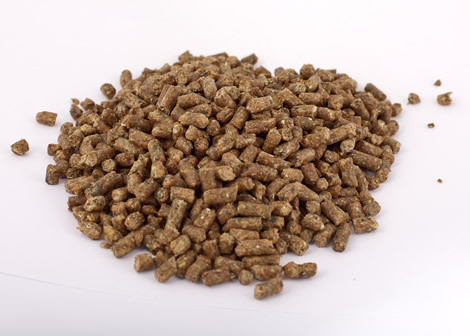 Pro-pellet is a 13.5% protein, high fat, pelleted diet. Use Pro-pellet when feeding to different life stages and a one feed program is desired. 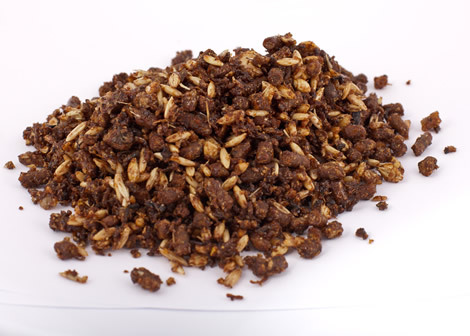 Stabilized Rice bran and vegetable oil, balanced with digestible fibers, act as the energy sources in this ration to meet the needs of horse in many life stages. Uses fats as the key energy source help reduce the incidence of “hot horses,” while providing a palatable source of energy with very little molasses. This is a fully fortified feed. This feed is suitable for all life stages of horses. Additional protein, vitamin or mineral supplements, except free choice salt, are not necessary. Concentrated meals should be split into 2 or more feedings per day, limiting each feeding size to 0.5 pound per one hundred pounds of body weight. Grain should be fed in combination with a high quality forage at a minimum of 1% of the horse’s body weight. Grain intake should be adjusted depending on desired growth rate, body condition and forage availability. Provide plenty of clean, fresh water at all times. Formulated by nutritionist at Kentucky Equine Research, Equus Low-Starch provides a safe energy source for performance horses. Equus Low-Starch is a 13% protein, 8.5% fat and 15% fiber low-glycemic feed designed for yearlings, broodmares, and performance horses. This unique formula reduces the energy supplied by soluble carbohydrates and replaces it with safe, sustainable energy sources-soy oil combined with super fibers such as soy hulls and beet pulp. Equus Low-Starch also contains a natural vitamin E found to be 180% more digestible than synthetic, which ensures quick recovery from soreness and injury. Equus Low-Starch features Omega Balancer, a source of fat used to maintain a natural balance of fatty acids.